Yeo's is one of the top brand recognized nationwide. They do not just make baked beans. Low fat and no MSG. One of the indispensable dish in Britain's breakfast. It not really one of the popular dish among Asians. Add more flavor by cooking it with onions and egg as you can see in the above image. 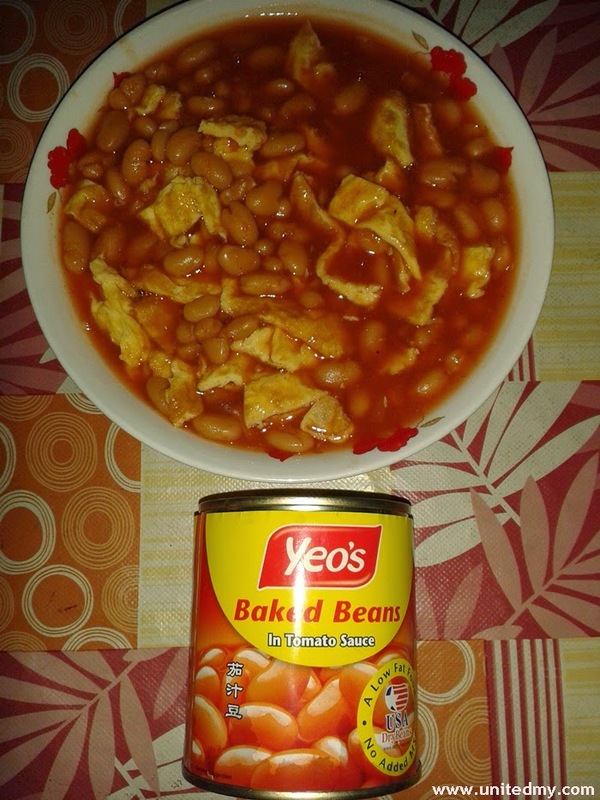 If you opt for homemade breakfast, you should try Yeo's baked beans. 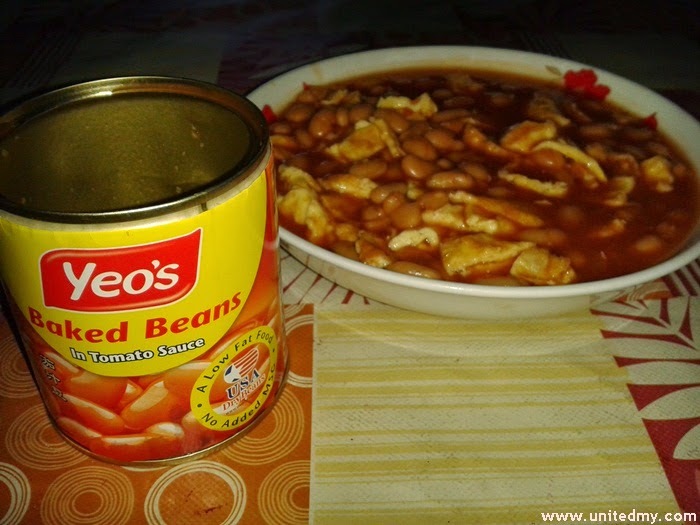 There are many selection personally would try all of the brands but first is Yeos branded baked beans. I heard my family said it is the most delicious. I seriously doubt they had tried all baked beans brands in the market. I am not a rating guys would compare if I have eaten other brands. As you can see, yeo's baked bean has considerable size of the bean and it tomato flavor is still okay. As if you are a tomato person, you would adds more your own tomato sauce in it by heating it too.